If postmodernism is indeed 'the cultural logic of late capitalism', why did typical postmodernist themes like ornament, colour, history and identity find their application in the architecture of the socialist Second World? How do we explain the retreat into paper architecture and theoretical discussion in societies still nominally devoted to socialist modernization? 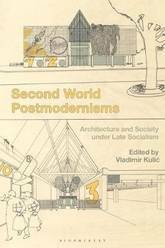 Exploring the intersection of two areas of growing scholarly interest - postmodernism and the architecture of the former socialist world - this edited collection stakes out new ground in charting architecture's various transformations in the 1970s and 80s. Fourteen essays together explore the question of whether or not architectural postmodernism had a specific Second World variant. The collection demonstrates both the unique nature of Second World architectural phenomena and also assesses connections with western postmodernism. The case studies cover the vast geographical scope from Eastern Europe to China and Cuba. They address a wealth of aesthetic, discursive and practical phenomena, interpreting them in the broader socio-political context of the last decades of the Cold War. The result provides a greatly expanded map of recent architectural history, which redefines postmodernist architecture in a more theoretically comprehensive and global way. Skateboarding is both a sport and a way of life. Creative, physical, graphic, urban and controversial, it is full of contradictions - a billion-dollar global industry which still retains its vibrant, counter-cultural heart. 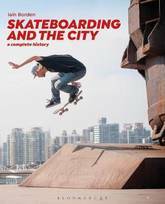 Skateboarding and the City presents the only complete history of the sport, exploring the story of skate culture from the surf-beaches of `60s California to the latest developments in street-skating today. Written by a life-long skater who also happens to be an architectural historian, and packed through with full-colour images - of skaters, boards, moves, graphics, and film-stills - this passionate, readable and rigorously-researched book explores the history of skateboarding and reveals a vivid understanding of how skateboarders, through their actions, experience the city and its architecture in a unique way. Organic Design in Twentieth-Century Nordic Architecture presents a communicable and useful definition of organic architecture that reaches beyond constraints. 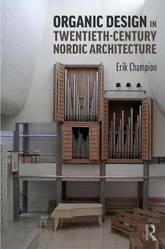 The book focuses on the works and writings of architects in Nordic countries, such as Sigurd Lewerentz, Jorn Utzon, Sverre Fehn and the Aaltos (Aino, Elissa and Alvar), among others. It is structured around the ideas of organic design principles that influenced them and allowed their work to evolve from one building to another. Erik Champion argues organic architecture can be viewed as a concerted attempt to thematically unify the built environment through the allegorical expression of ongoing interaction between designer, architectural brief and building-as-process. With over 140 black and white images, this book is an intriguing read for architecture students and professionals alike. 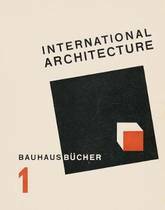 In what he called his illustrated guide to modern architecture, which starts off the Bauhausbucher series, Gropius gives an overview of the international architecture of the mid-1920s. A preface by the author explores, briefly but in detail, the guiding principles that unite the avant-garde in all countries. 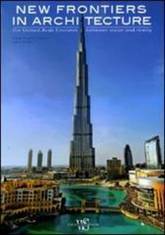 This statement is followed by an extensive illustrated section showing examples of architecture from around the world. According to Gropius, these illustrations bear witness to the development of a consistent worldview that disposes of the prior role of the architect and expresses itself in a new language of shapes. 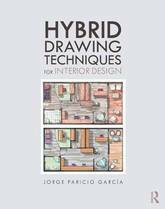 Hybrid Drawing Techniques for Interior Design shows you a flexible and productive design workflow that starts with hand drawing and moves on to digital techniques. In this book, digital and freehand images are displayed side-by-side, so that you can choose at every step which method is best for your desired effect. 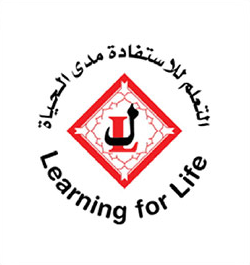 You will also learn how to draw freehand using a digital tablet, and how to render perspective views, elevations and floor plans. This book includes more than 400 color images and practice exercises that can be referenced online. The creation of Soviet culture in the 1920s and the 1930s was the most radical of modernist projects, both in aesthetic and in political terms. 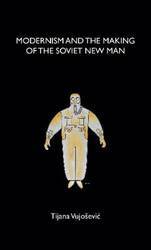 Modernism and the Making of the New Man explores the architecture of this period as the nexus between aesthetics and politics. The design of the material environment, according to the author, was the social effort that most clearly articulated the dynamic of the socialist project as a negotiation between utopia and reality, the will for progress and the will for tyranny. It was a comprehensive effort that brought together professional architects and statisticians, theatre directors, managers, housewives, pilots, construction workers. What they had in common was the enthusiasm for defining the new man , the ideal citizen of the radiant future, and the settings in which he or she lives. -- . How some design appears to be something that it is not-by beautifying, amusing, substituting, or deceiving. Pretense design pretends to be something that it is not. Pretense design includes all kinds of designed objects: a pair of glasses that looks like a fashion accessory rather than a medical necessity, a hotel in Las Vegas that simulates a Venetian ambience complete with canals and gondolas, boiler plates that look like steel but are vinyl. 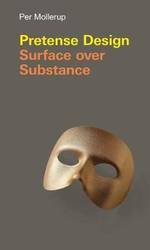 In this book, Danish designer Per Mollerup defines and describes a ubiquitous design category that until now has not had a name: designed objects with an intentional discrepancy between surface and substance, between appearance and reality. Pretense design, he shows us, is a type of material rhetoric; it is a way for physical objects to speak persuasively, most often to benefit users but sometimes to deceive them. After explaining the means and the meanings of pretense design, Mollerup describes four pretense design applications, providing a range of examples for each: beautification, amusement, substitution, and deception. Beautification, he explains, includes sunless tanning, high heels, and even sporty accessories for a family car. Amusement includes forms of irrational otherness-columns that don't hold anything up, an old building's facade that hides a new building, a new Chinese town that mimics an old European town. Substitution pretends to be a natural thing: plastic laminate is a substitute for wood, Corian a substitute for marble, and prosthetics substitute for human organs. Deception doesn't just bend the truth; it suspends it. Soldiers wear camouflage to hide; hunters use decoys to attract their prey; malware hides in a harmless program only to wreak havoc on a user's computer. With Pretense Design, Per Mollerup adds a new concept to design thinking. From 2008, for the first time in human history, half of the world's population now live in cities. 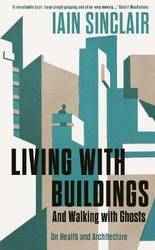 Yet despite a wealth of literature on green architecture and planning, there is to date no single book which draws together theory from the full range of disciplines - from architecture, planning and ecology - which we must come to grips with if we are to design future cities which are genuinely sustainable. 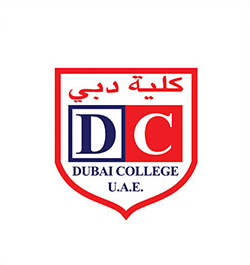 Paul Downton's Ecopolis takes a major step along this path. 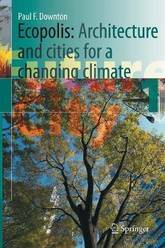 It highlights the urgent need to understand the role of cities as both agents of change and means of survival, at a time when climate change has finally grabbed world attention, and it provides a framework for designing cities that integrates knowledge - both academic and practical - from a range of relevant disciplines. Identifying key theorists, practitioners, places and philosophies, the book provides a solid theoretical context which introduces the concept of urban fractals, and goes on to present a series of design and planning tools for achieving Sustainable Human Ecological Development (SHED). Combining knowledge from diverse fields to present a synthesis of urban ecology, the book will provide a valuable resource for students, researchers and practitioners in architecture, construction, planning, geography and the traditional life sciences. 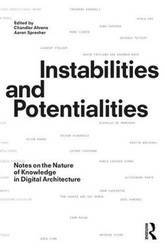 Now that information technologies are fully embedded into the design studio, Instabilities and Potentialities explores our post-digital culture to better understand its impact on theoretical discourse and design processes in architecture. The role of digital technologies and its ever-increasing infusion of information into the design process entails three main shifts in the way we approach architecture: its movement from an abstracted mode of codification to the formation of its image, the emergence of the informed object as a statistical model rather than a fixed entity and the increasing porosity of the architectural discipline to other fields of knowledge. Instabilities and Potentialities aims to bridge theoretical and practical approaches in digital architecture. 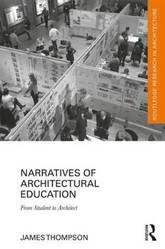 Narratives of Architectural Education provides an overview of life as an architecture student, detailing how a layperson may develop an architectural identity. This book proposes becoming an architect as a personal narrative of professional development structured around various stages and challenges associated with identity transformation. Using a case study of aspiring architects along multiple time points of their professional education, Thompson investigates the occupational identity of architects; how individuals construct a sense of themselves as future architects and position themselves within the architectural community. This book provides previously unexamined insights into not just the academic development of an architect, but also the holistic and experiential aspects of architectural education. It would be ideal for those in the educational field of architecture, to include students, educators, interns, and mentors. 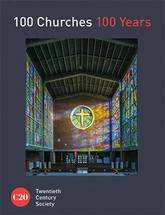 Following on from 100 Buildings 100 Years and 100 Houses 100 Years, this book illustrates and describes 100 churches and chapels built in the UK since 1914, charting the development of buildings for worship. In this period concrete and steel gave a new freedom to construction, while new ideas about how congregations could participate in services changed assumptions about traditional layouts, bringing celebrants and people closer together. The century saw dynamic churches in dramatic shapes of all sizes thanks to ambitious engineering, and brilliant colour from new forms of stained glass, murals and sculpture. Architects whose work is included here range from Basil Spence and Edward Maufe, designers of major cathedrals, to the radical Gillespie, Kidd and Coia whose brutalist seminary lies abandoned near Dumbarton. 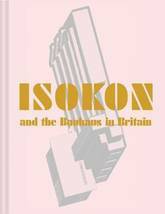 The book provides biographies of major designers; articles on glass, fittings, and on the synagogues, mosques and temples that play an intrinsic and important part in worship in Britain today. 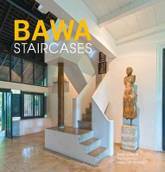 Contributors include architectural historians Elain Harwood, Alan Powers and Clare Price. Beautiful photography throughout showcases the very best of British church design, whether it is the minimal symmetry of a timber-framed altar, or light streaming in through a multi-coloured stained glass panel. A landmark text in design discourse for a world desperately in need of redesign-back in print What good is design? In a world facing social unrest, political tribalism, and impending ecological doom, Tom\u00e1s Maldonado poses philosophical inquiries into the role design plays during a moment of crisis and analyzes what \u201cdesign\u201d might mean as an ever-enlarging compass beyond stylization of specific objects. 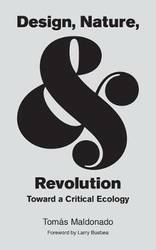 He discusses how design is both influenced by and central to ecological crisis. Written as a kind of obituary to the Modern movement\u2019s wave of failed \u201cconcrete utopias,\u201d Maldonado combines philosophy, sociology, radical countercultural thought, and the ecological sciences into a polemic that recenters design in the human environment. Each of these Analysing Architecture Notebooks is devoted to a particular theme in understanding the rich and varied workings of architecture. They can be thought of as addenda to the foundation volume Analysing Architecture, which first appeared in 1997 and has subsequently been enlarged in three further editions. Examining these extra themes as a series of Notebooks, rather than as additional chapters in future editions, allows greater space for more detailed exploration of a wider variety of examples, whilst avoiding the risk of the original book becoming unwieldy. Metaphor is the most powerful component of the poetry of architecture. It has been a significant factor in architecture since the earliest periods of human history, when people were finding ways to give order and meaning to the world in which we live. 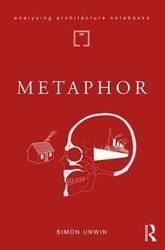 It is arguable that architecture began with the realisation of metaphor in physical form, and that subsequent movements - from Greek to Gothic, Renaissance to Modern, Victorian to Vernacular... - have all been driven by the emergence or rediscovery of different metaphors by which architecture might be generated. 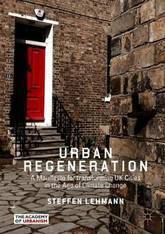 Urban Regeneration - A Manifesto for transforming UK Cities in the Age of Climate Change explores and offers guidance on the complex process of how to transform cities, continuing the unfinished project of the seminal 1999 text Towards an Urban Renaissance. 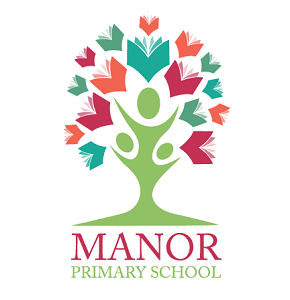 It is a 21st-century manifesto of urban principles compiled by a prominent urbanist, for the regeneration of UK cities, focusing on the characteristics of a `good place' and the strategies of sustainable urbanism. It asks readers to consider how we can best transform the derelict, abandoned and run-down parts of cities back into places where people want to live, work and play. The book frames an architecture of re-use that translates and combines the complex `science of cities' and the art of urban and architectural design into actionable and practical guidance on how to regenerate cities. Fascinated by the typology and value of the compact UK and European city model, Lehmann introduces the concept of `high density without high buildings' as a solution that will make our cities compact, walkable, mixed-use and vibrant again. Theories and Practices of Architectural Representation focuses on the study of architectural knowledge approached through the lens of representation: the making of things-about-buildings. Architectural knowledge systems continue to shift away from traditional means, such as books and photographs, into modes dominated by digital technologies. This shift parallels earlier ones developed by craftspeople into the knowledge of painters and writers, or shifts from manually produced knowledge into the mode of photography and film. These historical shifts caused profound disruptions to established patterns, and in general the shift currently underway is no different. 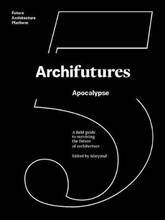 This book considers essential questions including: How does architecture become known? How is knowledge about architecture produced, structured, disseminated, and consumed? 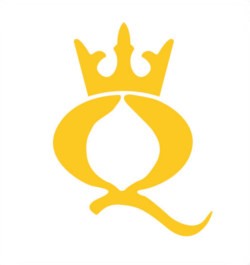 How in particular do historical patterns of knowledge production persist within contemporary culture and society? How are these patterns affected by changes in technology, and how does technology create new opportunities? 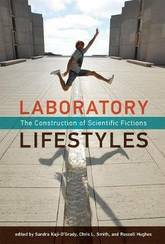 These questions are examined through five chapters dealing with exemplary buildings and representational methods selected from worldwide locations including the United States, Japan, and Italy. Theories and Practices of Architectural Representation proposes that historical theories and practices of architectural representation remain distinct, robust, and uniquely viable within the context of rapidly changing technologies. 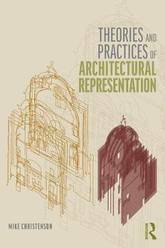 It is an essential read for students of architectural theory of representation. Unlike books that concentrate on the monuments and other artefacts that architects produce, Constructing the Architect focuses on architecture as a disciplinary and professional process, an institution of society, and a career of learning and mastery. In doing so, it offers a lens into the architecture of architecture. 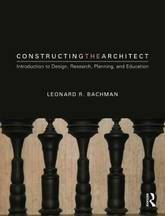 Mapping architecture as a coherent whole, Leonard Bachman shows that the field must be understood as four mutually reinforcing modes of inquiry: design, research, strategy, and education. Within this framework, he explains how institutions and actors hold differing perspectives on the critical discourse that advances architecture and identifies the various tensions and leverage points for change within the discipline. Featuring over 100 illustrations to support understanding of this highly visual subject, this is an essential introduction for any student seeking to understand what it means to be an architect and to enter the professional discourse. The Architecture of Expressionism is the upheaval of architecture in the roaring twenties - with regionally different emphases, schools and protagonists. The series' third volume documents all surviving buildings in Poland, the Czech Republic and Slovak ia. The shared heritage of this important European region is presented in a fascinating rediscovery. The enthusiasm for the expressionist metropolis, an architecture of complexity, verticality and theatricality, in the 1920s captured also East - Central Euro pe. Despite regional differences, the surviving fragments bear witness to a determined will of form and a rich, skilful handling of colour, material and light. Joint together, the buildings tell the story of the expressionist vision of a new modern society . 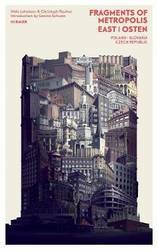 In contemporary photographs and plan drawings Fragment of Metropolis - East documents 170 buildings in Bratislava, Brno, Gdansk, Hradec Kralove, Katowice, Krakow, Legnica, Prague, Szczecin, Usti nad Labem, Warsaw, Wroclaw, as well as many other places. 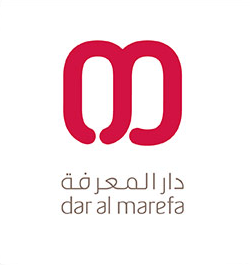 A detailed index and clearly arranged maps complete the reference work. The Byzantine cathedral of Hagia Sophia has been a source of wonder and fascination since its sixth-century construction. It was the premier monument of the Byzantine capital, Constantinople, and remains one of the most recognisable symbols of modern Istanbul. Often seen as encapsulating Byzantine history and culture, the building has been the subject of much scholarly interest since the Renaissance. However, while almost all previous archaeological work has focussed on the church itself, the surrounding complex of ecclesiastical buildings has been largely neglected. The research project presented here (co-directed by the authors) is the first to focus on the archaeology of the immediate environs of the church in order to understand the complex as a whole. Previously unrecorded material includes parts of the Patriarchal complex, from which the Orthodox Church was governed for almost a millennium, what may be the `Great Baptistery' north of the church, and what are perhaps the first fragments of the fourth-century phase of the cathedral yet identified. The discovery of an unrecognised porch, surviving to its full height within the standing building, changes the known plan of the famous sixth-century church. This new information provides fresh evidence about the appearance and function of the complex, illustrating its similarities to, and dissimilarities from, episcopal centres elsewhere in the Byzantine world. 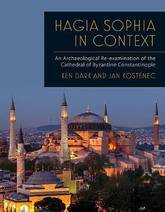 Combined with other archaeological sources, these discoveries enable us to place the sixth-century cathedral in its urban context and to reconsider what Hagia Sophia can tell us about the wider Byzantine world. Becoming an architect is a daunting task. Beyond the acquisition of new skills and procedures, beginning designers face an entirely unfamiliar mode of knowledge: design thinking. 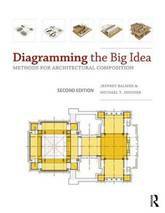 In Diagramming the Big Idea, Jeffrey Balmer and Michael T. Swisher introduce the fundamentals of design thinking by illustrating how architects make and use diagrams to clarify their understanding of both specific architectural projects and universal principles of form and order. With accessible, step-by-step procedures that interweave diagrams, drawings and virtual models, the authors demonstrate how to compose clear and revealing diagrams. Design thinking defines a method for engaging the world through observation and analysis. Beyond problem solving, design is a search for possibilities. Mastering design thinking begins with learning the fundamentals of visual composition. It embraces the ability to synthesize deductive and imaginative reasoning, combining both shrewd scrutiny and fevered speculation. Design diagrams make visible the abstractions that order the built environment. Premised upon the Beaux-Arts notion of the architectural parti, Balmer and Swisher adopt the `Big Idea' as a foil and as a suitcase to organize fundamentals of architectural composition. The goal of this book is to make explicit to students what they are learning, why they are learning it and how to internalize such lessons toward their lifelong development as designers. Drawing Parallels expands your understanding of the workings of architects by looking at their work from an alternative perspective. 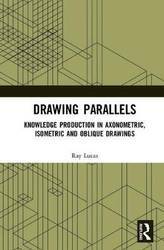 The book focuses on parallel projections such as axonometric, isometric, and oblique drawings. Ray Lucas argues that by retracing the marks made by architects, we can begin to engage more directly with their practice as it is only by redrawing the work that hidden aspects are revealed. The practice of drawing offers significantly different insights, not easily accessible through discourse analysis, critical theory, or observation. Using James Stirling, JJP Oud, Peter Eisenman, John Hejduk, and Cedric Price as case studies, Lucas highlights each architect's creative practices which he anaylses with reference to Bergson's concepts of temporality and cretivity, discussing ther manner in which creative problems are explored and solved. The book also draws on a range of anthropological ideas including skilled practice and enchantment in order to explore why axonometrics are important to architecture and questions the degree to which the drawing convention influences the forms produced by architects. With 60 black-and-white images to illustrate design development, this book would be an essential read for academics and students of architecture with a particular interest in further understanding the inner workings of the architectural creative process. 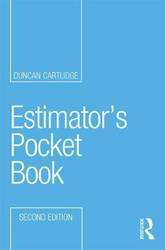 The Estimator's Pocket Book, Second Edition is a concise and practical reference covering the main pricing approaches, as well as useful information such as how to process sub-contractor quotations, tender settlement and adjudication. It is fully up to date with NRM2 throughout, features a look ahead to NRM3 and describes the implications of BIM for estimators. It includes instructions on how to handle: the NRM order of cost estimate; unit-rate pricing for different trades; pro-rata pricing and dayworks; builders' quantities; approximate quantities. 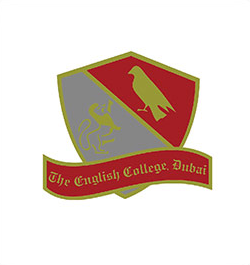 Worked examples show how each of these techniques should be carried out in clear, easy-to-follow steps. This is the indispensable estimating reference for all quantity surveyors, cost managers, project managers and anybody else with estimating responsibilities. Particular attention is given to NRM2, but the overall focus is on the core estimating skills needed in practice. Updates to this edition include a greater reference to BIM, an update on the current state of the construction industry as well as up-to-date wage rates, legislative changes and guidance notes. 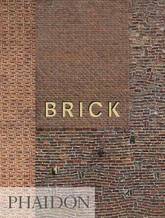 An unrivalled exploration of the world's most surprising and inspiring brick architecture - in a stylish, compact new format In this reimagined and easy-to-use size, Brick takes a fresh look at one of the world's most familiar and popular building materials. Presenting 180 diverse and fascinating examples, from the Ziggurat of Ur dating from 2100 bc to modern and contemporary masterpieces by Mies van der Rohe and Kazuyo Sejima, Brick beautifully illustrates how this humble material has been an architectural staple for centuries.